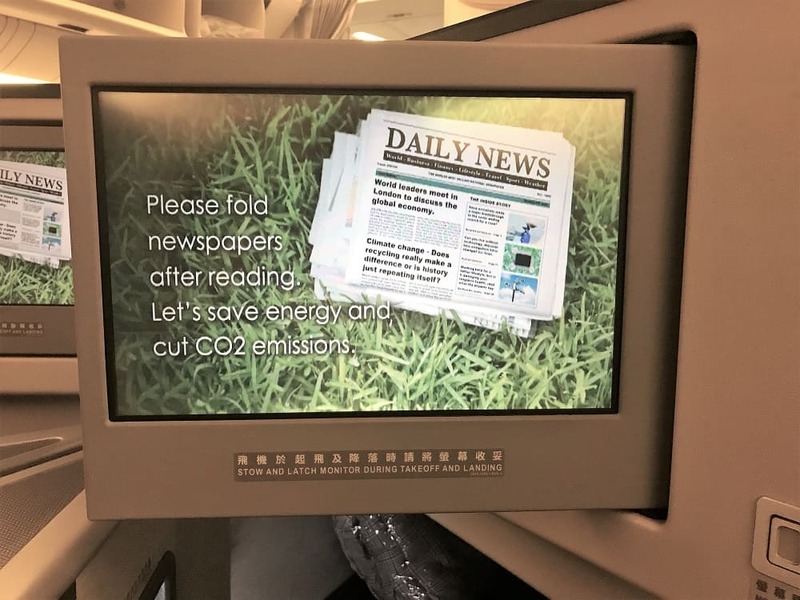 EVA Air is consistently ranked among the top in the world, and this flight from Taipei to Los Angeles made it easy to see why. The food was amazing and the lay flat seats were very comfortable to sleep in. 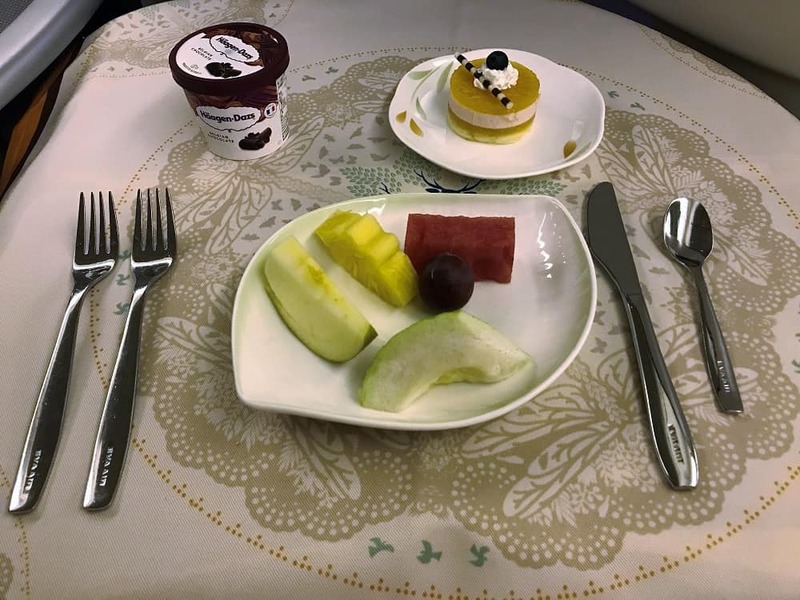 While the service wasn’t up to the usual standards for EVA Airlines business class I am inclined to give them a pass given their stellar reputation. While this review is similar to my previous EVA Air Business Class Singapore to Taipei in that I am reviewing an EVA Air 777-300ER in business class, there will be some differences in that it is a 12 hour long haul flight vs a 5 hour regional. 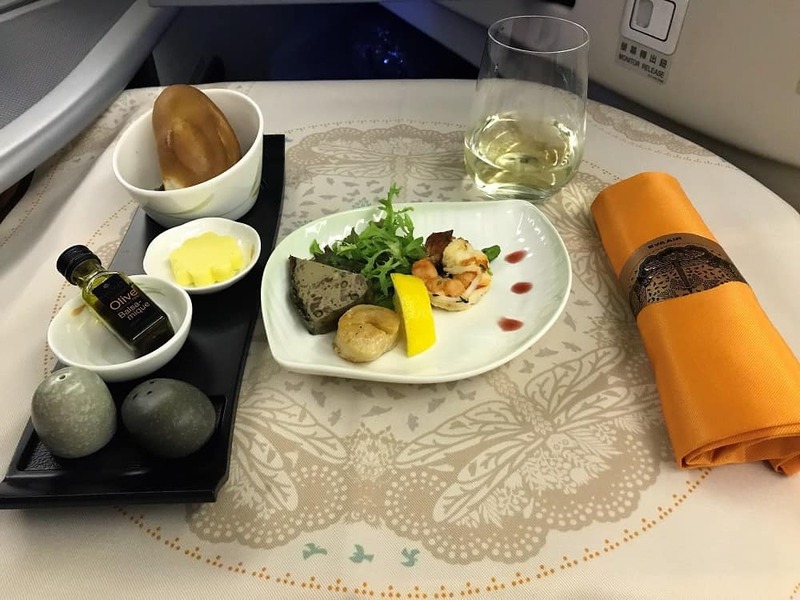 This EVA Airlines business class flight from Taipei to Los Angeles LAX was the third of our three leg journey back home from Bali Denpasar DPS Airport. 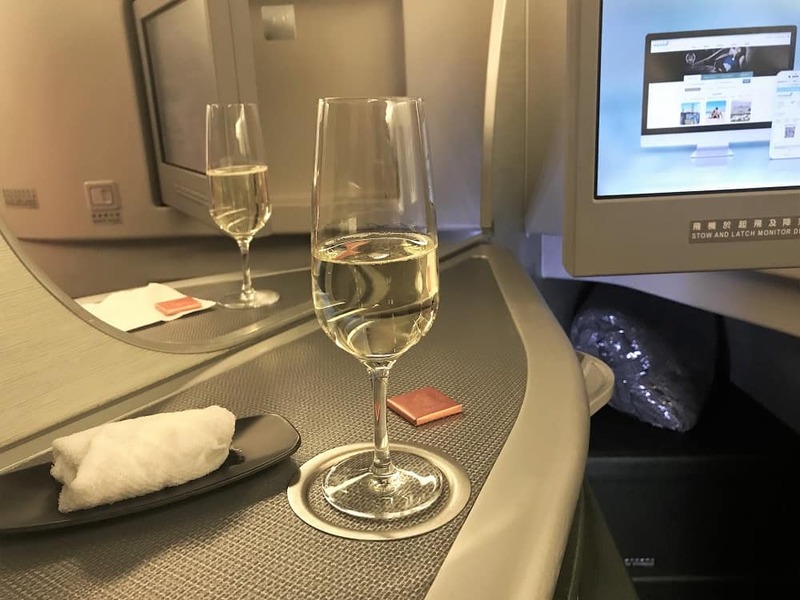 We each used 80K United Airlines points to book business class from DPS-LAX. The actual routing was DPS-SIN, SIN-TPE and TPE-LAX. 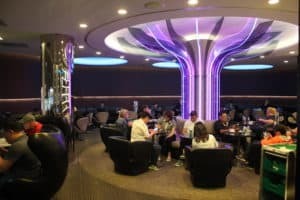 There were several different routing options, but this one allowed us to have a free 23 hour layover in Singapore and also to experience the #1 airport in the world (Singapore Changi Airport) and one of the best airport lounges in the world (Singapore Airlines Silverkris Lounge in Singapore). In all we had about 20 hours of flying time, three business class flights, a free Stopover in Singapore and access to several top airport lounges.. not bad for 80K points (the signup bonus earned from one credit card). 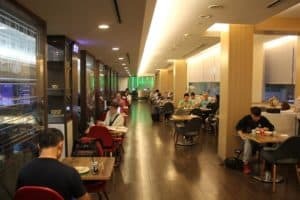 We had already checked in at the Singapore Airport and only had to pass through one quick security checkpoint to get to the gates and lounges. 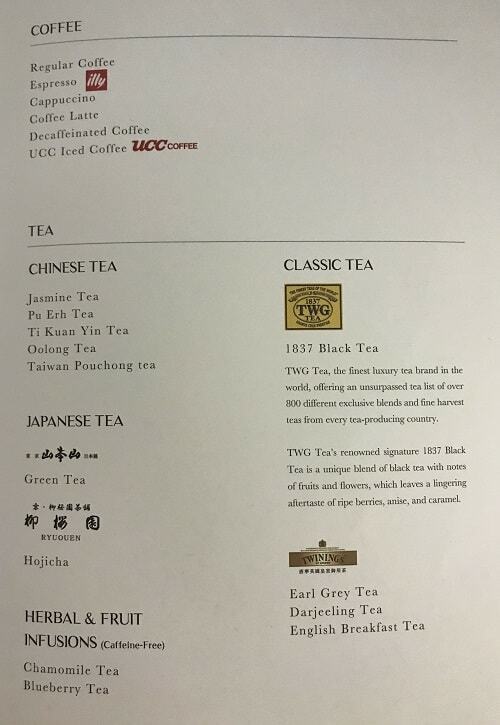 While EVA air is consistently one of the top airlines in the world, unfortunately their flagship lounges in Taipei airport (TPE) are not of the same quality. We visited The Infinity and The Star and both were disappointing. 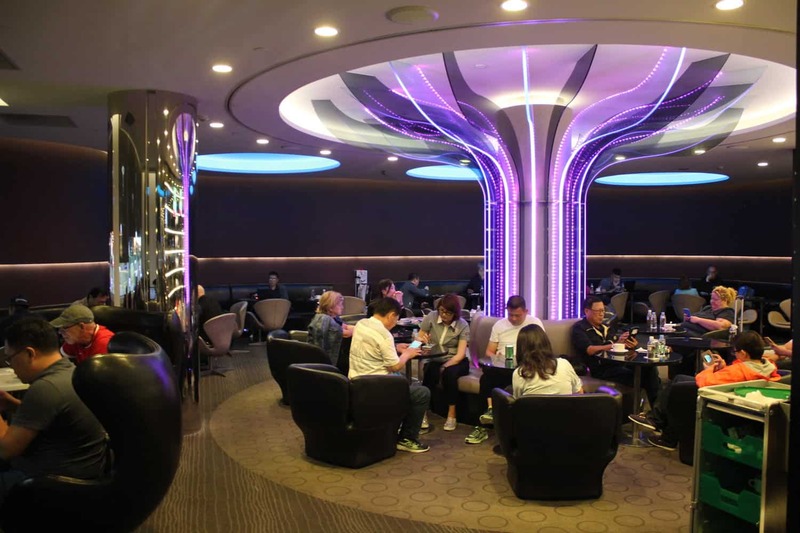 The food wasn’t very good and the decor for The Infinity Lounge reminded of a cheap Vegas club. 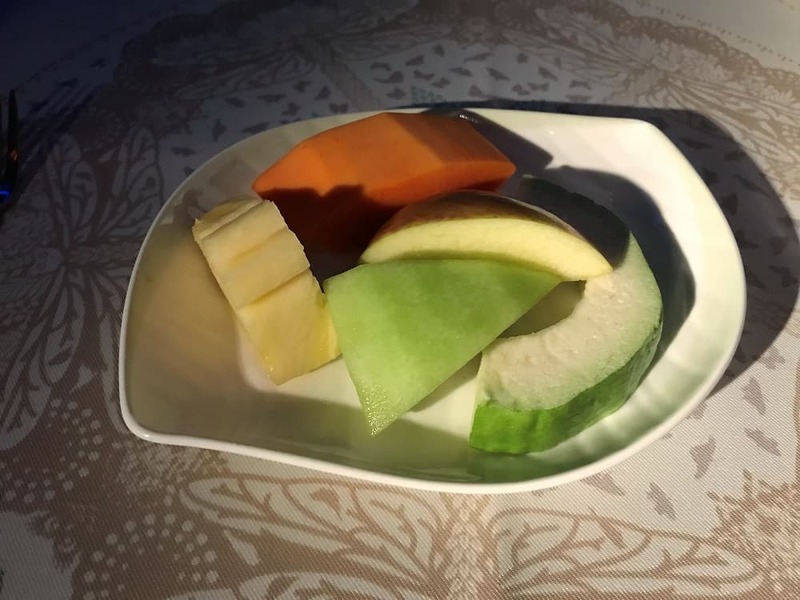 If you are deciding between the two though, I would recommend The Star Lounge as it was less crowded, had a more calming ambiance and served Movenpick ice cream instead of Haagen-Dazs. There were no issues when boarding. There was a separate business class entrance. 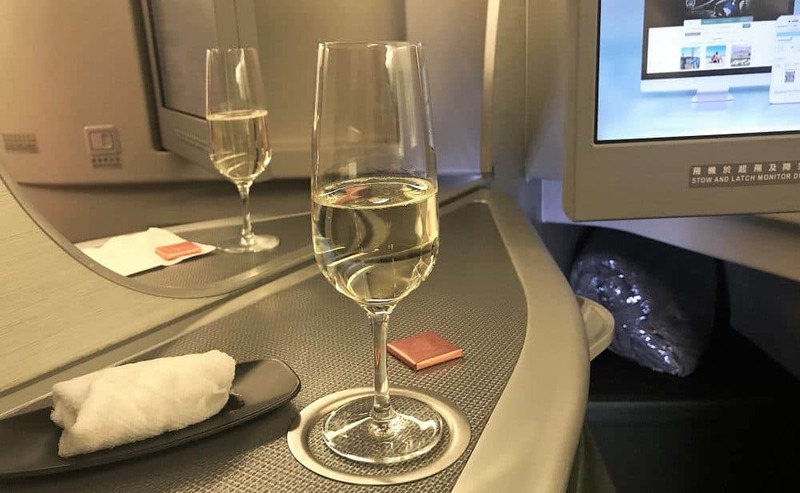 We started with the pre takeoff glass of champagne and a Godiva chocolate. 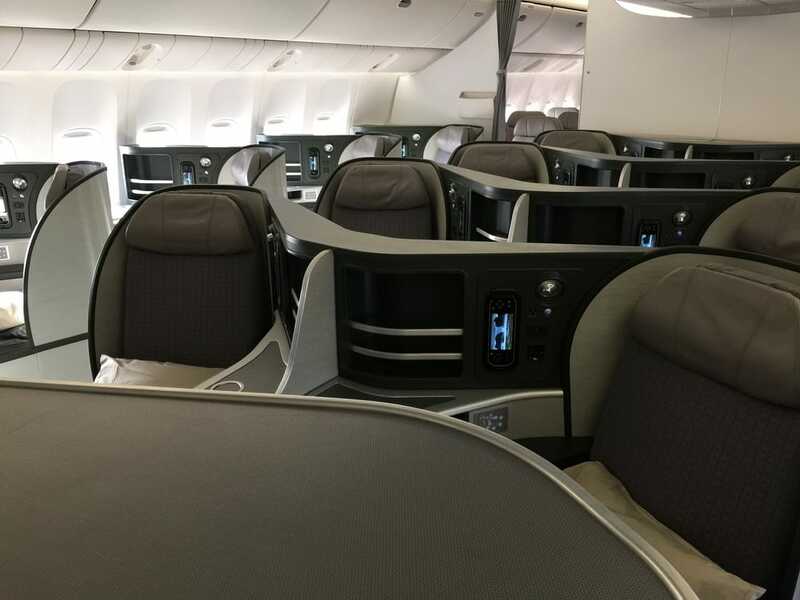 The EVA Airlines 777-300ER has no first class, but there are two business class cabins with 40 business class seats total. The first cabin has six rows while the second cabin has four rows. Each row has four seats in the 1-2-1 reverse herringbone configuration. This aircraft had the standard dark green accents for EVA Airlines. 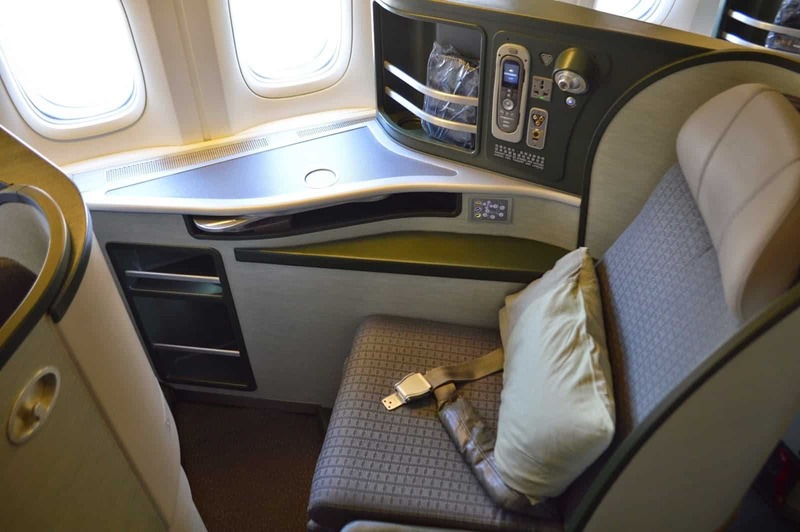 It was not as new as the Boeing 777-300ER we flew from Singapore to Taipei, which had light green accents. Our seats were 3D and 3G (same as the previous flight coincidentally enough), which were the two center seats in the third row. 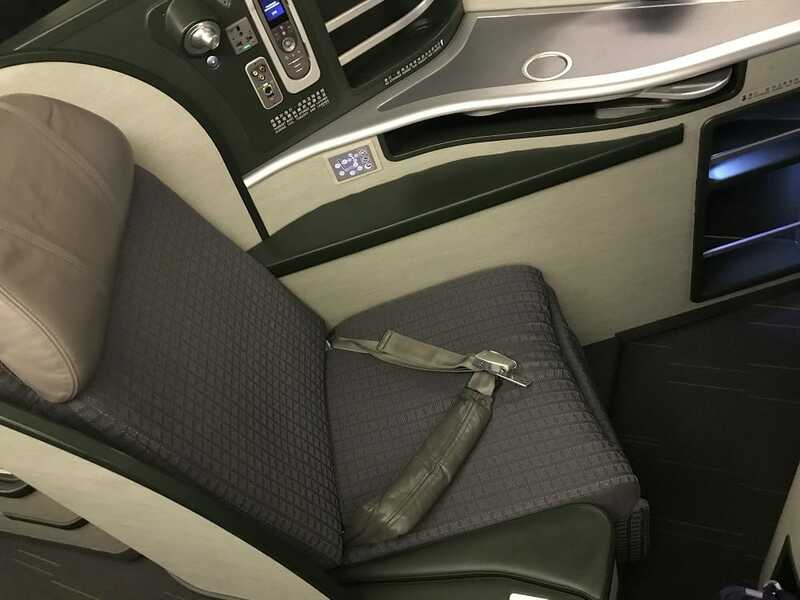 The two center seats on the Boeing 777 reverse herringbone configuration are probably best when traveling with a partner as they are angled toward each other. However you do have to lean forward pretty far to talk to the other person! This can be welcome though when traveling alone as even the two seats offer you plenty of privacy. 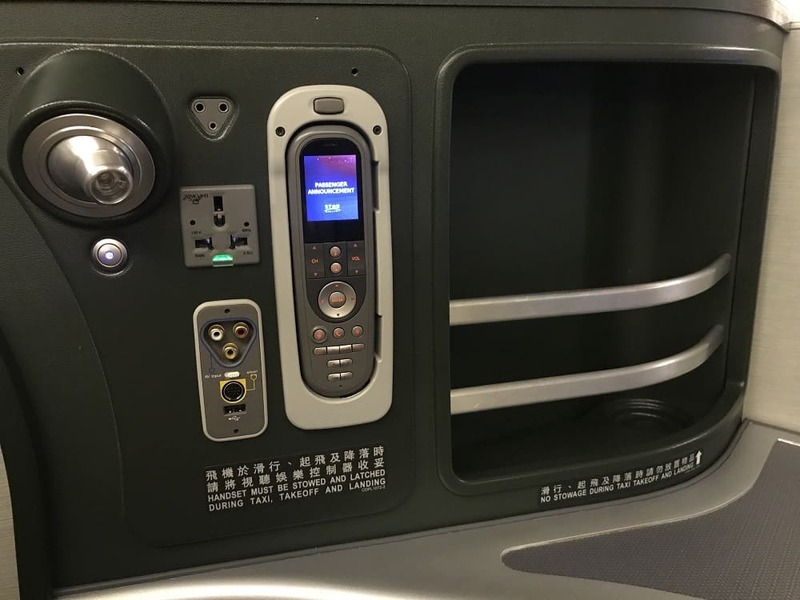 The single side seats on the 777-300ER offer the advantage of having windows and slightly more privacy as the seat is angled away from the aisle and toward the windows. 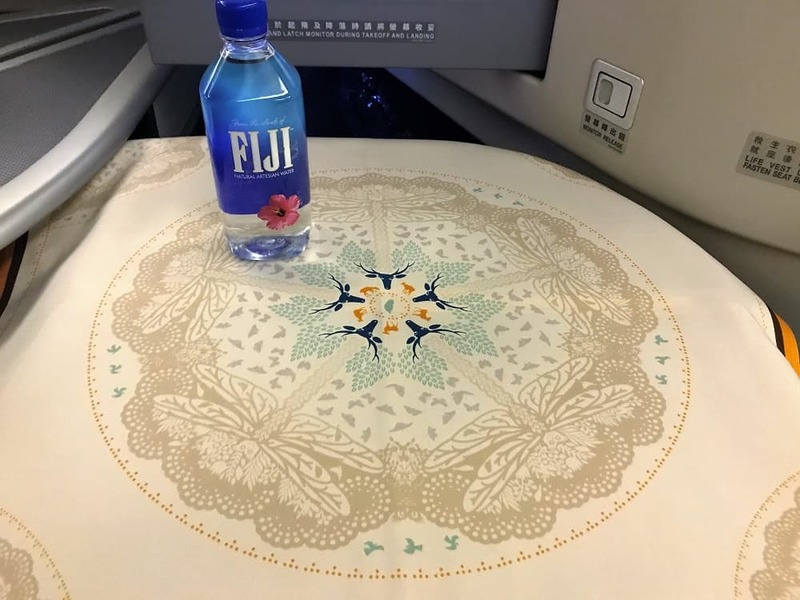 The seat itself was very comfortable and comparable to others in the Boeing 777-300ER reverse herringbone configuration. It is an completely lie-flat seat with 72 inches of pitch, 81 inches of total bed length and 26 inches of width. 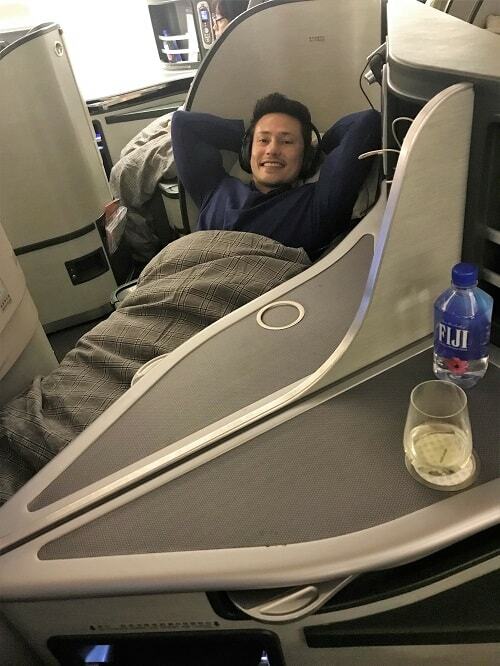 These completely lie flat seats are much more comfortable (especially for long haul flights) than the angled lie flat and reclining seats found in some business classes. There was plenty of room for me to stretch out with the seat reclined. There was plenty of storage. The side table offered enough room to place items when not in use. The touch screen TV was large with a matte finish to prevent glare. Jess and I turned on the same show at the same time and were able to watch on dual screens! (Yes that is Cam from Modern Family). 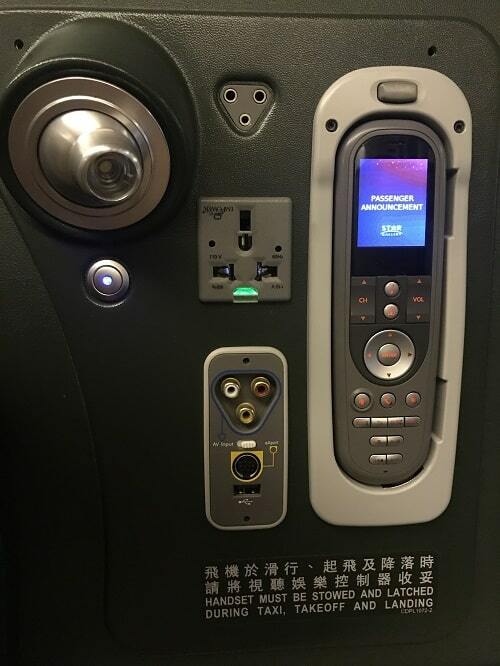 The TV controller was fairly standard and not as nice as the previous EVA Air aircraft. The charging port was located next to the controller. 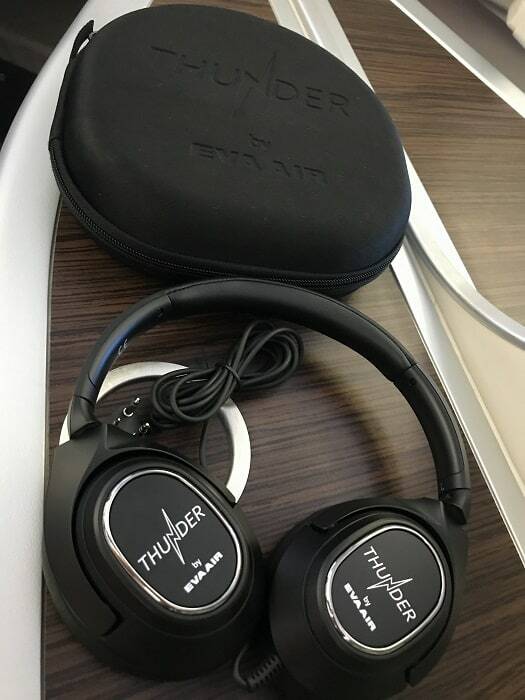 The headphones by Thunder were on par with some of the best that I have used. (Bose Cathay Pacific for example). EVA is known for having very good food and drink. 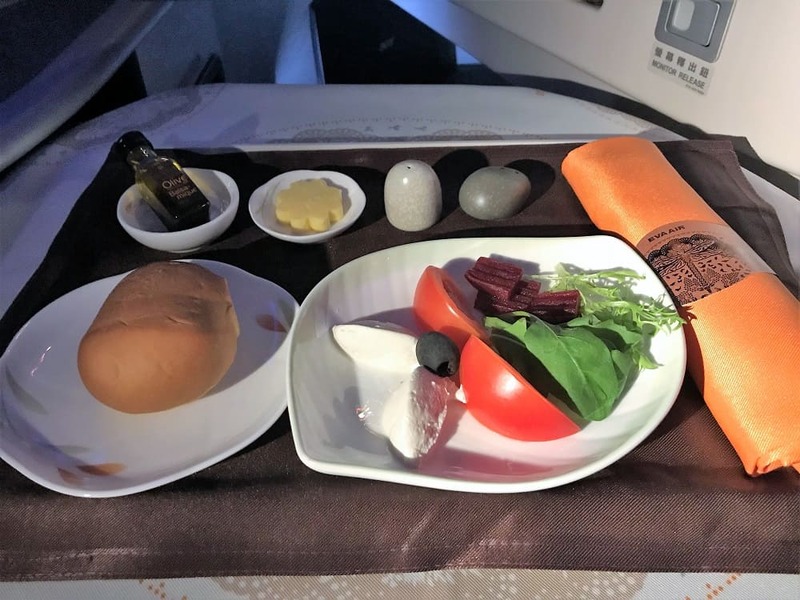 This EVA Air business class review was no exception. 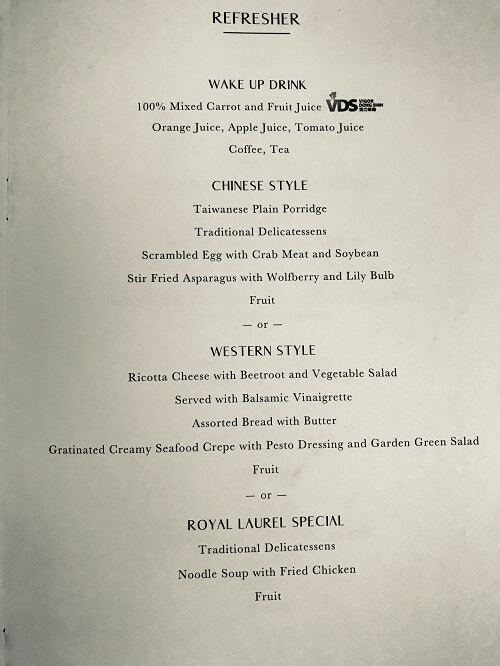 Even the menu was beautiful. 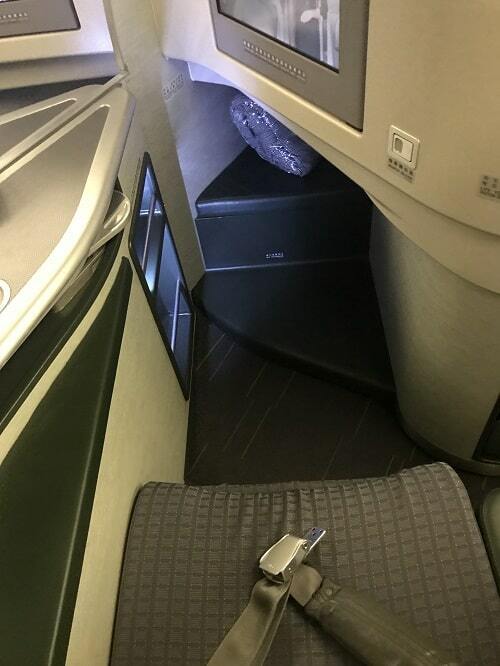 One of the things that I love about EVA Air is their attention to detail. 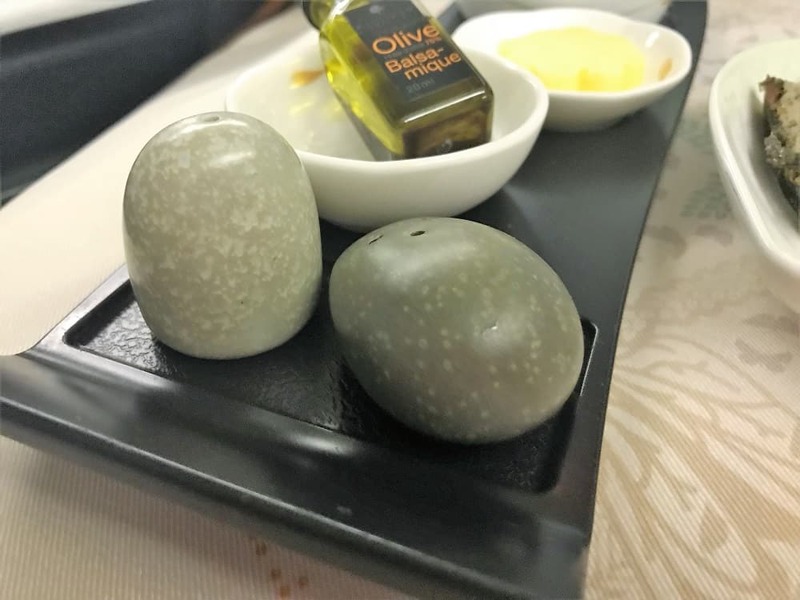 The table cloth was beautiful, the salt and pepper shaker were creative, even the napkin felt refined. Dinner service began less than an hour after departing from Taipei. The hors d’oeuvre was delicious, the shrimp and scallop were fresh and tasty. 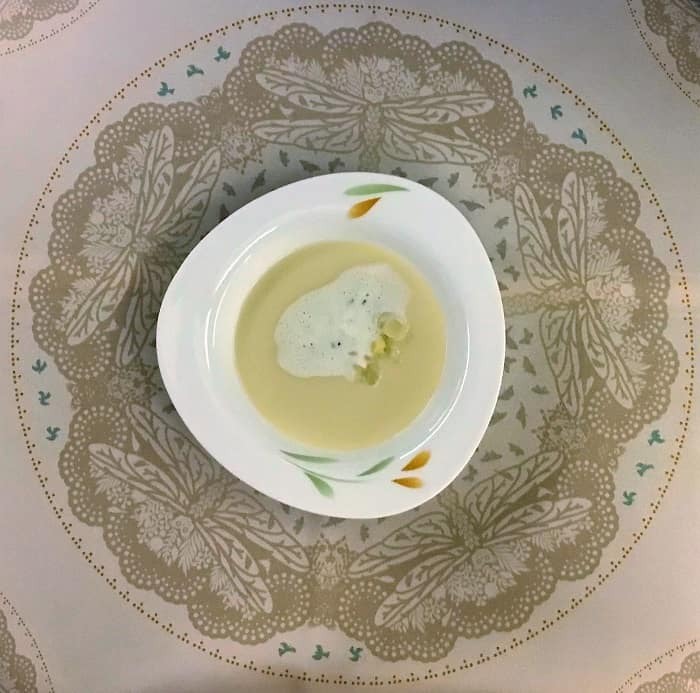 I’m usually not a fan of creamy soups, but this was simply delicious with a hint of truffle. 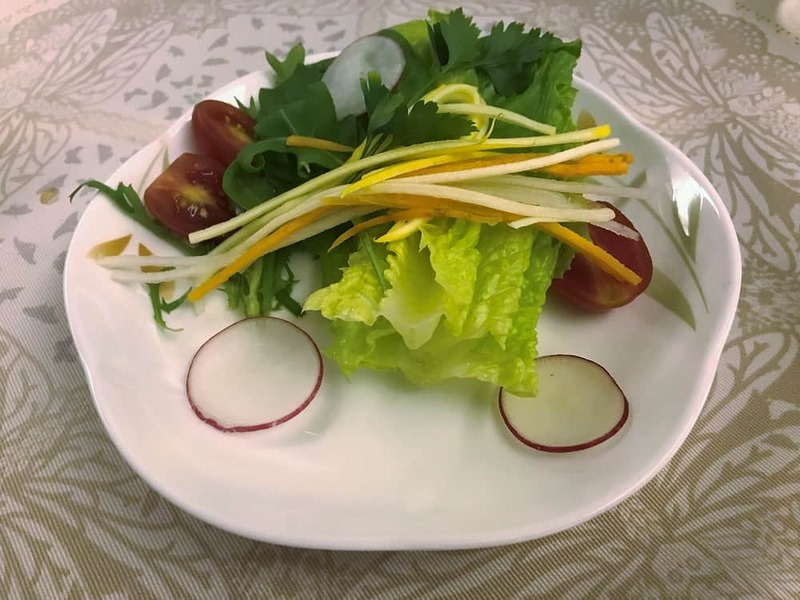 The salad, while simple, was fresh and crisp. 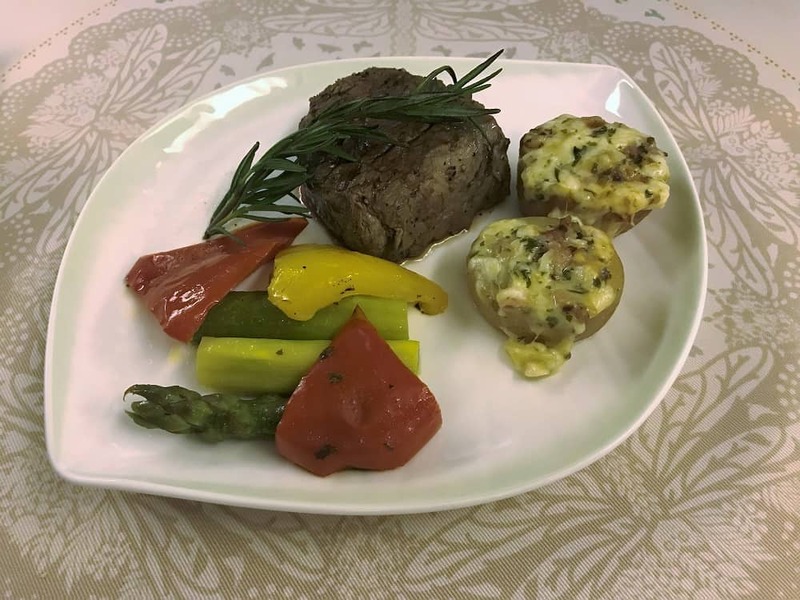 For the main course I chose the USDA Prime beef fillet mignon. It was cooked medium with a little pink in the center. The flavor was very good and the meat was tender. While not as good as a steakhouse, it was still pretty exceptional to have filet mignon in the air. By the time dessert came around I was so full I could barely eat any. But all of the fruit was once again fresh and ripe. The ice cream was delicious (obviously as it was Haagen Daaz). 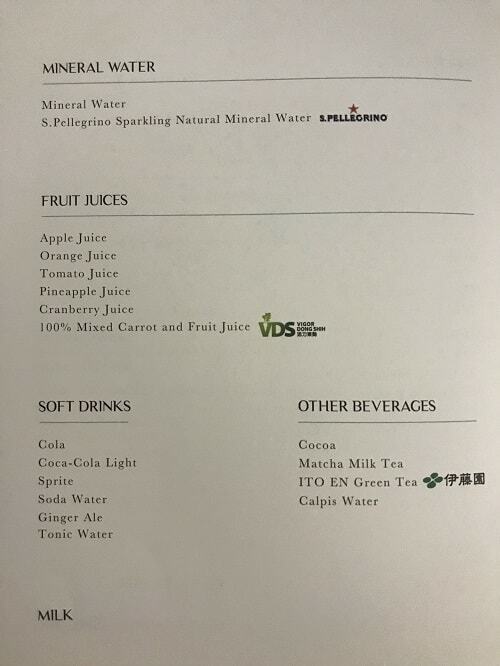 The drink menu was different than the regional flight we took from Singapore to Taipei which was a nice touch. Veuve Clicquot was a nice enough champagne for business class. 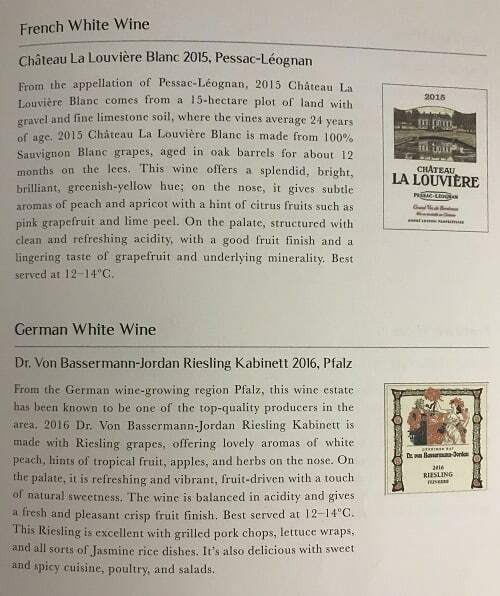 The supposedly “sauvignon blanc” was buttery and creamy like a chardonnay so not sure what happened there. 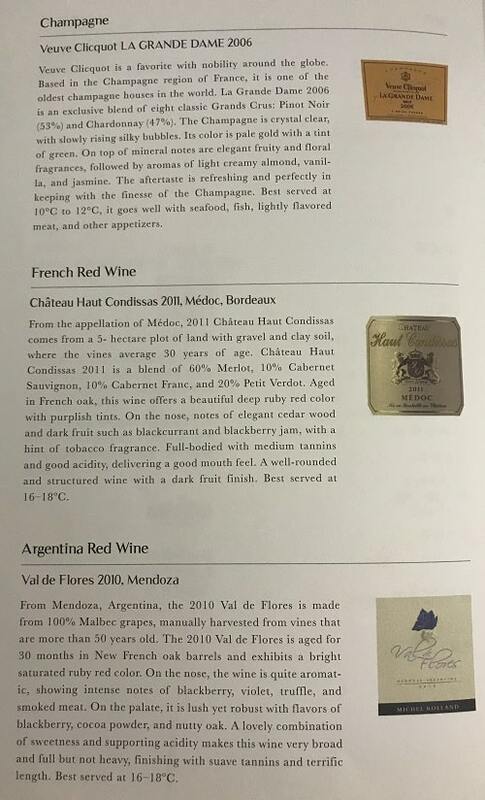 However the remainder of the wine was great. 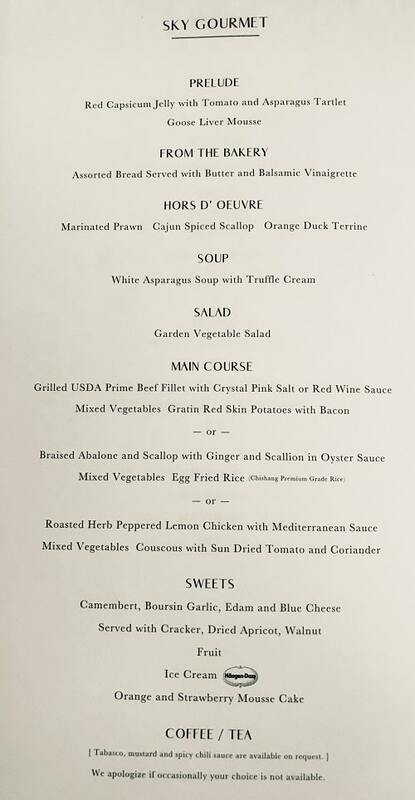 The second meal was served about two hours before landing in Los Angeles LAX and was called a “Refresher”. The meal was delicious although after sleeping seven hours I was more in the mood for breakfast than a creamy seafood crepe. Overall the service was good, but the flight attendants seemed pressed for time. 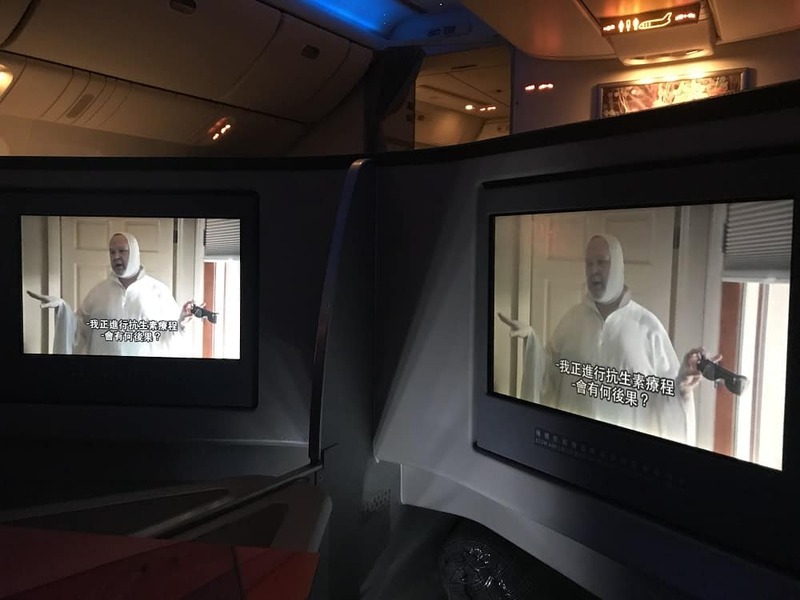 Which was strange because you expect this on a short flight, not a 12 hour long-haul flight. 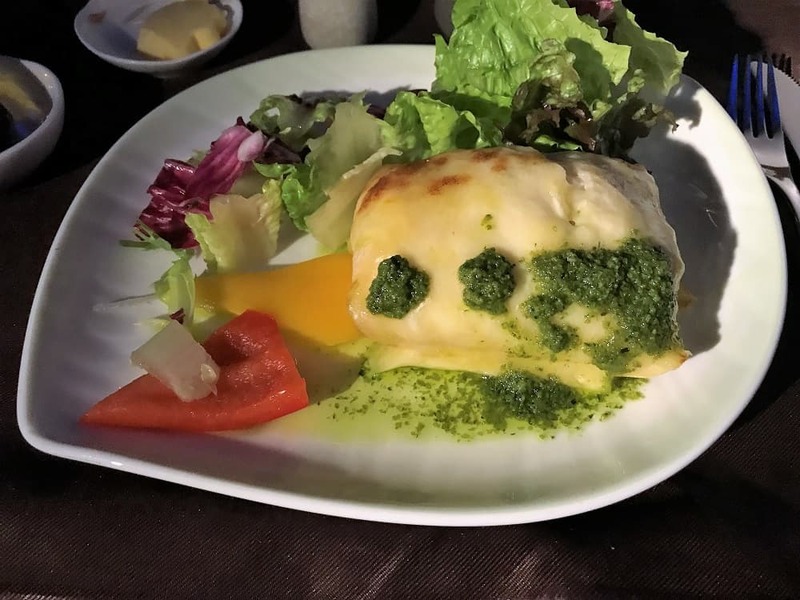 I had a few questions on the menu and the flight attendant made me feel rushed. So to not waste her time, I told her that she could come back for my order. When she returned she said they may be out of the beef fillet mignon. Luckily enough they had one left, but I did feel slightly jilted. 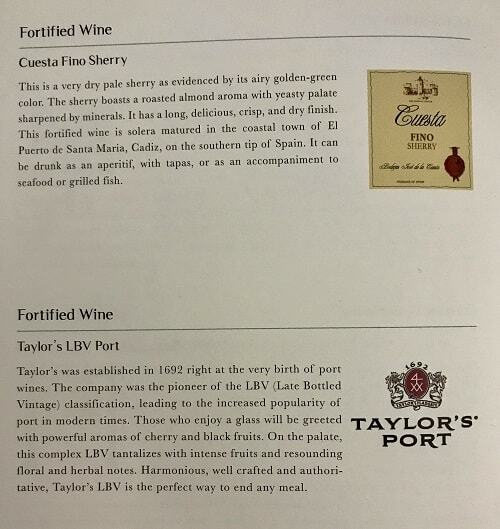 I also asked for the cab and she brought me a glass of the port with my steak. 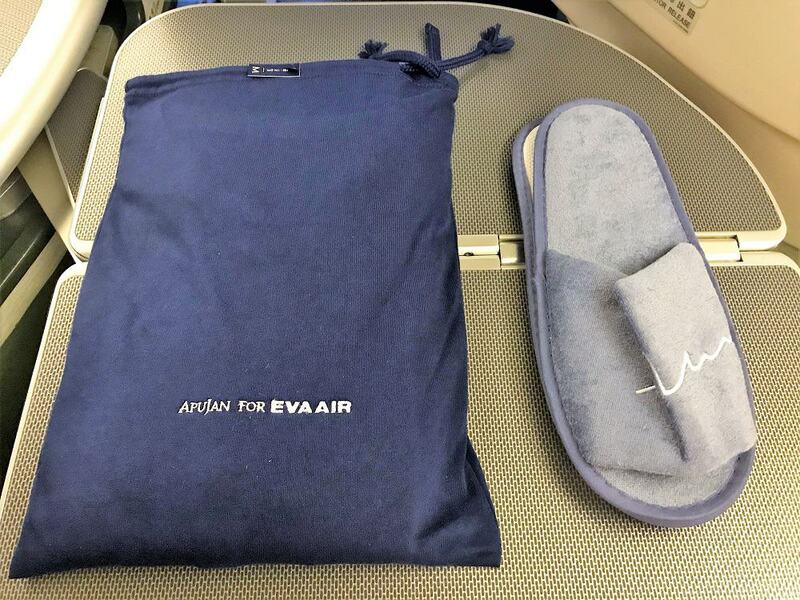 EVA Air is known for having exceptional service, so I am inclined to think that something was off that flight. 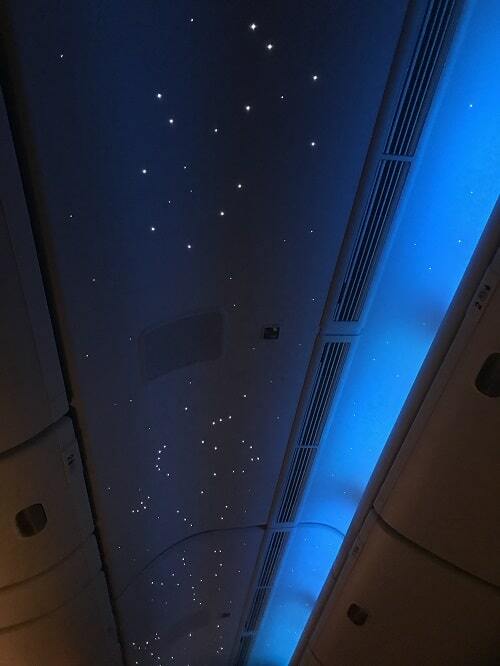 Maybe the flight attendants were short staffed on that flight or they ran into something unexpected. 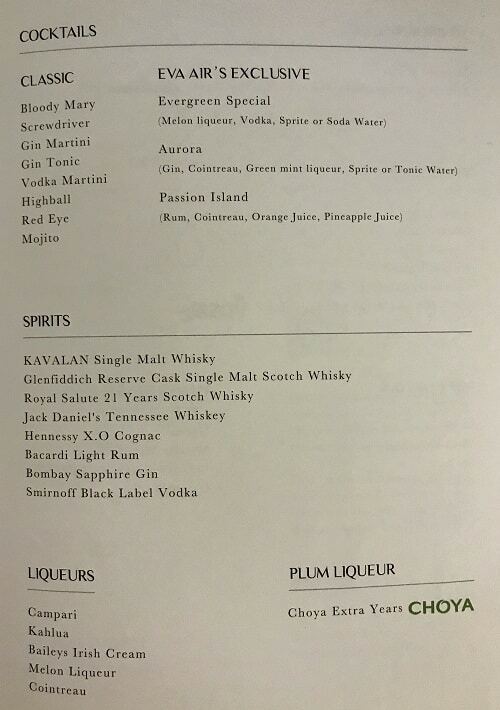 Since it was a long haul flight (Taipei to Los Angeles!) 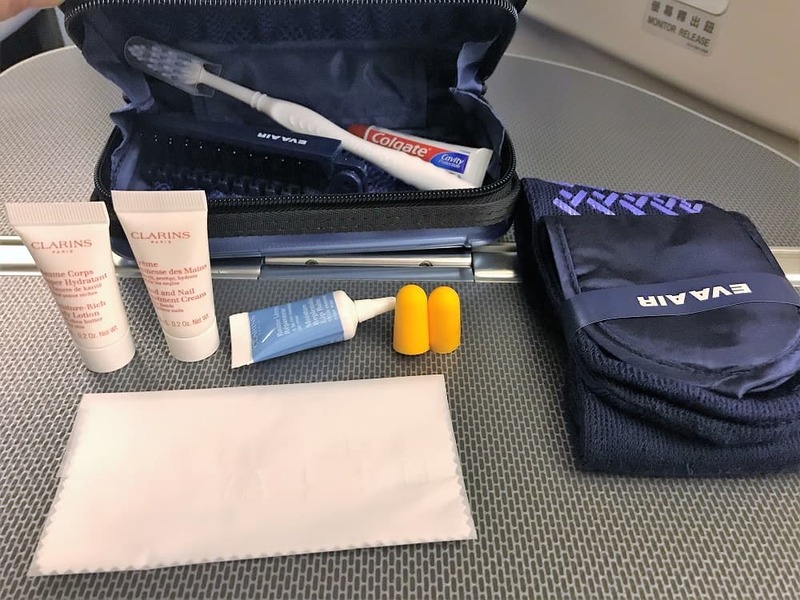 an amenity kit and super comfy pajamas were included as well. 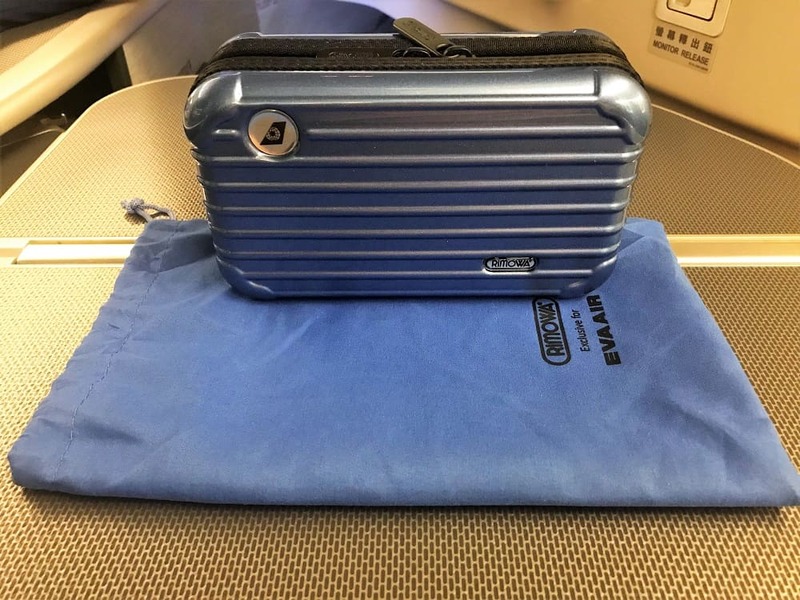 I think it was pretty neat for the amenity kit to be designed as a suitcase. 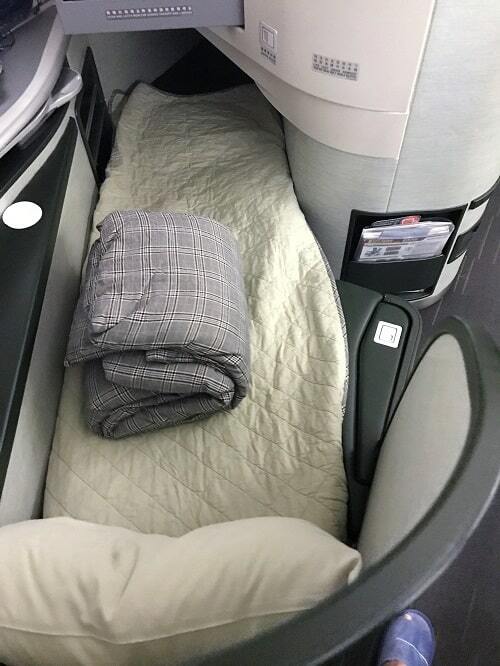 Again it’s the attention to detail that EVA Air does really well! 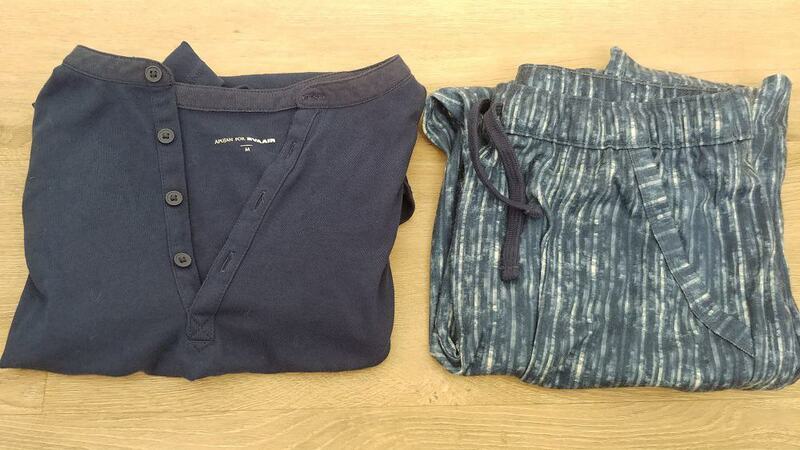 The pajamas fit better and in my opinion were more stylish than the brown ones from the Cathay Pacific First Class review. For sleeping the cabin was dimmed and a beautiful starry night sky appeared on the top of the cabin. I was actually able to sleep most of the way to Los Angeles. 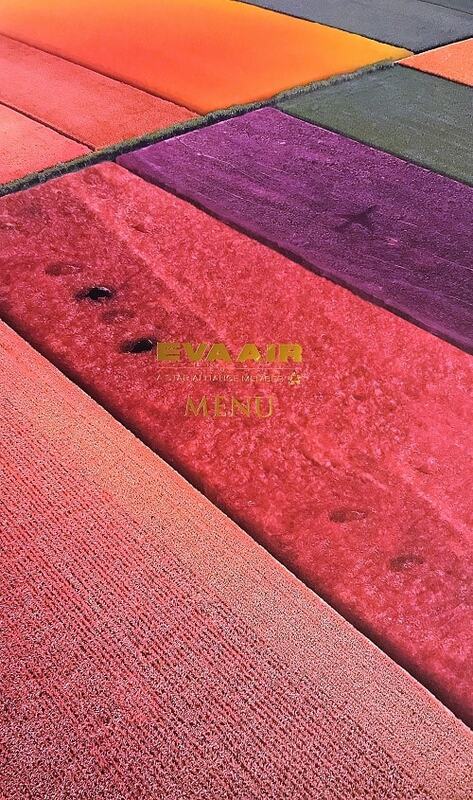 EVA Air is consistently ranked among the top airlines in the world. This flight from Taipei to LAX made it easy to see why. The food was amazing and the lay flat seats were very comfortable to sleep in. The pajamas provided were comfy and stylish enough that I would wear them again. While the service wasn’t up to the usual standards for EVA Air I am inclined to give them a pass given their stellar reputation. That is the precise blog for anyone who wants to search out out about this topic. You understand so much its virtually hard to argue with you (not that I really would need…HaHa). You positively put a brand new spin on a topic thats been written about for years. Great stuff, just nice! Hi! 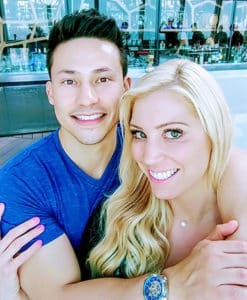 We're Jess and Brandon from Orange County, CA. We are two full time healthcare professionals who travel the world every chance we get and want to inspire you to do the same! Being in healthcare we know how precious life is, and we want to inspire you to enjoy every moment of it!